heliosolaire offers the SMA photovoltaic inverters suitable for each application: all types of panels, grid coupling and injection in isolated grids, small private installations or industrial installations of the megawatt order. 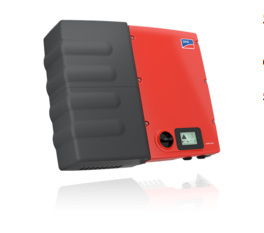 SMA photovoltaic inverters are reliable and guarantee high efficiency, so simple operation and simplified installation ensure additional safety in the selection of SMA photovoltaic inverters. Manual d'utilisation sunny 3600.pdf With its integrated battery, the Sunny Boy Smart Energy photovoltaic inverter allows for optimized self-consumption, as well as the simple use of self-generated solar electricity after sunset. 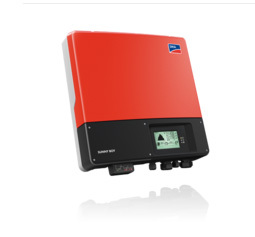 The Sunny Boy photovoltaic inverter is the ideal solution especially for demanding solar photovoltaic generators and partially shaded installations. Equipped with the Webconnect function the data transmission is directly transmitted to the portal at Sunny portal. 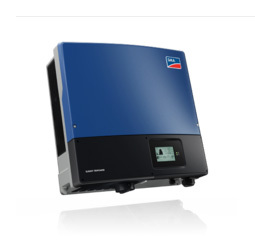 The photovoltaic inverter Sunny Tripower CORE1 is the world’s first self-supporting string inverter designed for decentralized commercial photovoltaic systems on roofs or on the ground, or parking shadows. Manuel d'utilisation STP15-25TL-30-BE-fr-13.pdf The Sunny Tripower 15000TL / 20000TL / 25000TL photovoltaic inverters are suitable for large solar installations on large roofs. With a yield of up to 98.5%, they are characterized by high dimensional flexibility and wide compatibility with many photovoltaic panels thanks to the multi-branch design and wide input voltage range. 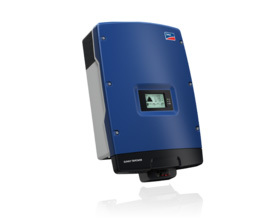 Manuel d'utilisation STP5-12TL-20-BE-fr-15.pdf The Sunny Tripower 5000 and 12000TL photovoltaic inverters are optimal for both traditional residential photovoltaic systems and much more powerful installations on large roofs. Indeed, with the new 10 kVA and 12 kVA versions, the Sunny Tripower range covers a wide range of applications, with many features that have proved themselves in practice. 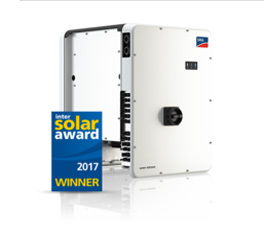 The new UL-certified Sunny Tripower TL-US photovoltaic inverter is specially designed to meet American requirements for medium and large photovoltaic systems. 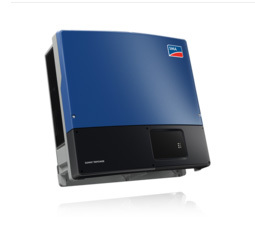 Fiche technique SC500CP-760CP-DFR1530-V21web.pdf The central photovoltaic inverters of the CPXT range have high efficiency and a range of power up to 1 megawatt. 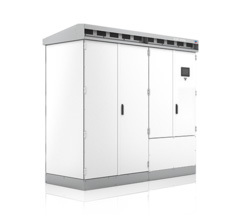 Highly resistant SMA photovoltaic central inverters can operate under harsh conditions and temperatures from -40 ° C to + 62 ° C.
Fiche technique SC800CP-900CP-DFR1529-V21web.pdf The central photovoltaic inverters of the CPXT range have high efficiency and a range of power up to 1 megawatt. Highly resistant SMA photovoltaic central inverters can operate under harsh conditions and temperatures from -40 ° C to + 62 ° C.
Brochure service SMA-SC-KFR1530_FR_BD.pdf The central photovoltaic inverters of the CPXT range have high efficiency and a range of power up to 1 megawatt. 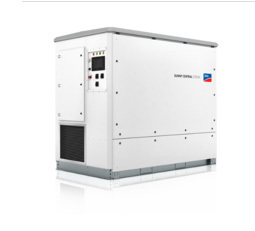 Highly resistant SMA photovoltaic central inverters can operate under harsh conditions and temperatures from -40 ° C to + 62 ° C.
Fiche technique Sunny Central SC2200-DFR1730-V32web.pdf SMA central photovoltaic inverters with a capacity of 2750 kVA for system voltages of 1000 V and 1500 V allow for more efficient sizing of solar systems. They have an integrated transformer and additional space to install the customer’s equipment.